For all of the naysayers, myself included, The Factor proved himself a serious contender for the Derby in winning the Rebel Stakes (G2) at Oaklawn Park Saturday. The Factor. Photo: Alex Evers/EquiSport Photos 1/1000 @ f/5, iso 400, 300mm. The Factor (War Front) showed a dimension that we had not yet seen. 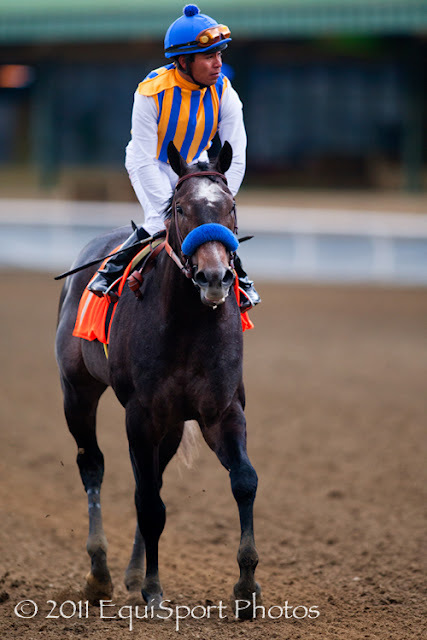 Martin Garcia, trainer Bob Baffert's first call rider, was able to harness The Factor's speed. Breaking alertly, the colt was able to go to the front and set a reasonable pace. He coasted across the wire, 6 lengths in front of Caleb's Posse and Archarcharch. The question of whether The Factor could leave enough in the tank for the final furlong was clearly answered. The Factor. Photo: Alex Evers/EquiSport Photos 1/800 @ f/3.2, iso 1000, 400mm. Baffert seems to be weighing his many options with the colt, "Right now, I would say he’s going back to the Arkansas Derby. 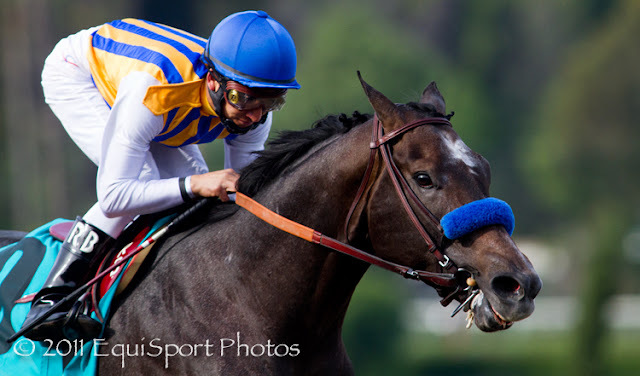 I could leave him at Santa Anita, but I don’t know." With regards to Oaklawn Park, Baffert said after the race, “We love it here. As long as (The Factor) comes out of it well, I’m sure we will come back." 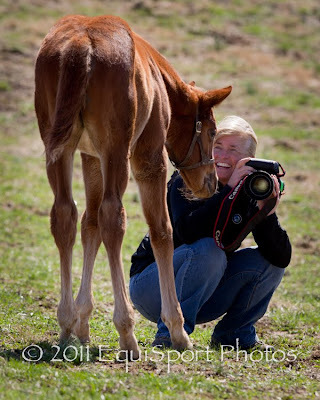 Wendy and I are keeping an eye out for participants for Capture the Light - Equine Photography Workshop, presented by EquiSport Photos, May 3-5, 2011. This is a great destination workshop in Lexington, Kentucky for beginning and intermediate photographers. Some of the great learning topics are outlined in our blog. Excellent top 21, I like that you have The Factor ranked at #6. I think he's going to be able to get 10 furlongs but not in the Kentucky Derby. Thanks Brian. The Rebel made me a believer in The Factor. He deserves a spot in the Derby. Looking to the Louisiana Derby, would love to see Afleet Alex move forward, Mucho Macho Man will be tough. I'm very curious to see how Elite Alex runs also. I think Mucho Macho Man and Machen are my top two choices. I love how long Mucho Macho Man's stride becomes when he kicks it into high gear. Rachel Alexandra, Glamour Session in Lightroom!